Is The Government Stockpiling Iodine In Preparation for Fukushima Meltdown? 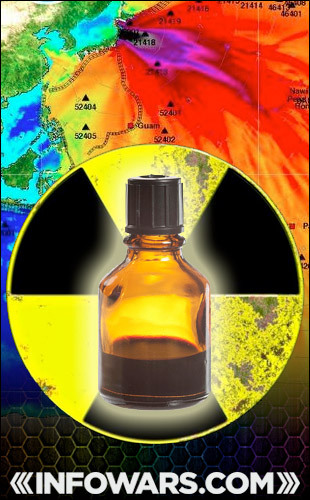 Government purchase of 14 million iodine doses points to silent Fukushima meltdown preparation. Following the revelation that The Department of Health and Human Services has ordered 14 million doses of potassium iodide to be available by no later than the first of February, it is easy to see that the same federal government responsible for silently raising the allowable limits of radiation in the food supply and turning off key radiation counters positioned in the west coast may now silently be preparing for a future Fukushima meltdown. The same type of Fukushima plant meltdown that has been predicted by leading scientists, such as those who spoke out against Fukushima’s dangers while attending the scientific symposium at the University of Alberta just a few months ago. Scientists like David Suzuki went on record in stating that Fukushima is just an earthquake away from devastating Japan and swallowing other nations with its radioactive fallout. And Suzuki is not the only one with major concerns. In fact, Suzuki is perhaps one of the very few who actually received media attention due to his celebrity status as a recipient of 16 significant academic awards and host of the popular CBC Television program entitled ‘The Nature of Things’. Yale University professor Charles Perrow has voiced similar concerns in a telling piece entitled ‘Fukushima Forever’, which highlights the very serious threat of nuclear meltdown as a result of human error when it comes to removing the plant’s spent fuel rods. A danger that the United States government certainly recognizes as legitimate based on the analysis of top experts, and undoubtedly is silently preparing for behind the scenes. And silently stockpiling iodine is certainly the way that The Department of Health and Human Services would prepare for such an event. As of this morning, a government source has told me that this purchase is indeed bizarre given the quantity and delivery time frame (requiring a whopping 14 million doses by February 1st), and it goes alongside preparations we have seen in the past where the official response will likely play off the mega purchase as a ‘routine bulk acquisition with no real urgency or threat’. The reality is that even getting a hold of low quality potassium iodide, which I would not ever personally take over a higher quality form of pure iodine, is becoming difficult as the population becomes aware of Fukushima’s expansive dangers. Many manufacturers are now stockpiling raw iodine and holding on to the element as a form of investment with the knowledge that Fukushima may very well meltdown in the coming months. For this reason, we have had a very hard time securing our nascent iodine formula that many in the field of preparedness have been stockpiling for quite some time.